Seriously? OMG! 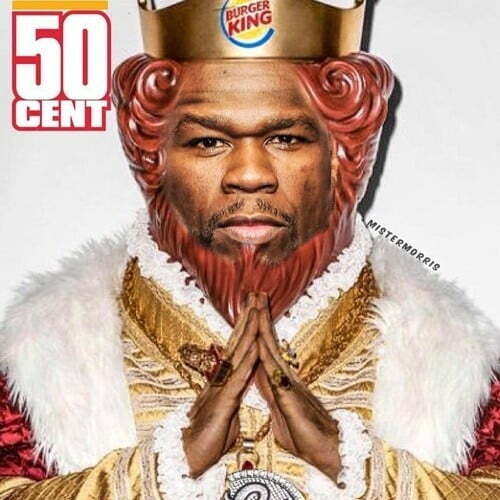 WTF?50 Cent Archives - Seriously? OMG! WTF? Throughout his reign of hosting The Late Late Show, James Corden has taken the lyrics of singers like Lady Gaga and Beyonce and turned them into a script for a Soap Opera. Yesterday, he used the words that come out of Katy Perry’s mouth, and made it the best one yet! If you didn’t know they were her lyrics, you would swear those were real lines of dialogue. They are that believable. It could also be because that be piece of work I have ever seen Claire Danes do. She should give comedy a try because she has the chops for it. The only thing missing was her doing her ugly cry. When it comes to Christine Baranski and Jack McBrayer, we already know they can do comedy and drama, so this was perfect for them. Seriously though, how much did you love the Days of our Katy Perry? It made my world turn because it was such a guiding light. Does Matt LeBlanc prefer Monica or Rachel? Not only was Lady Gaga’s Carpool Karaoke on The Late Late Show yesterday, she also appeared on the CBS late night show. She stole the monologue from James Corden, who was getting ready for the show. After she was done, she spent the rest of the show with the band, performing songs off her new album Joanne and asking guess Matt LeBlanc a question. That very important question was, “Matt, who would you rather Monica or Rachel?” After some hesitation, he gave the perfect response, “I would have me some Phoebe, she is very bendy.” Too bad he wasn’t holding a mic because he would’ve dropped it.